There are 9305 posts in this topic. You are on page 124 of 187. I finally joined the club this weekend! I'm debating about doing decals, as I hate the whole process. While the sides aren't terrible, the front is noticeably faded to light pink. May have to pick some up. 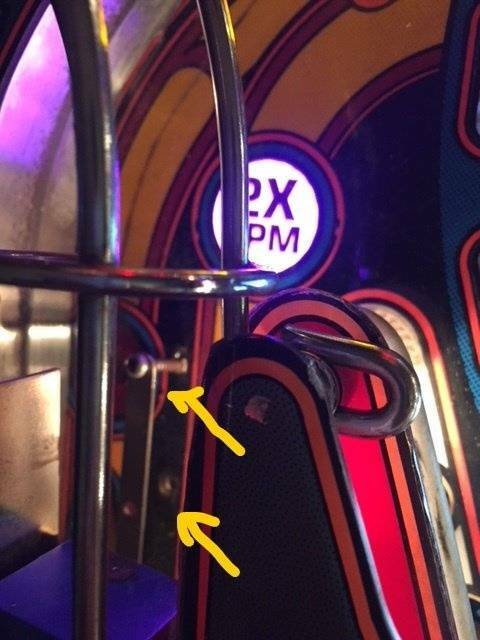 Playfield has full mylar that needs removed. 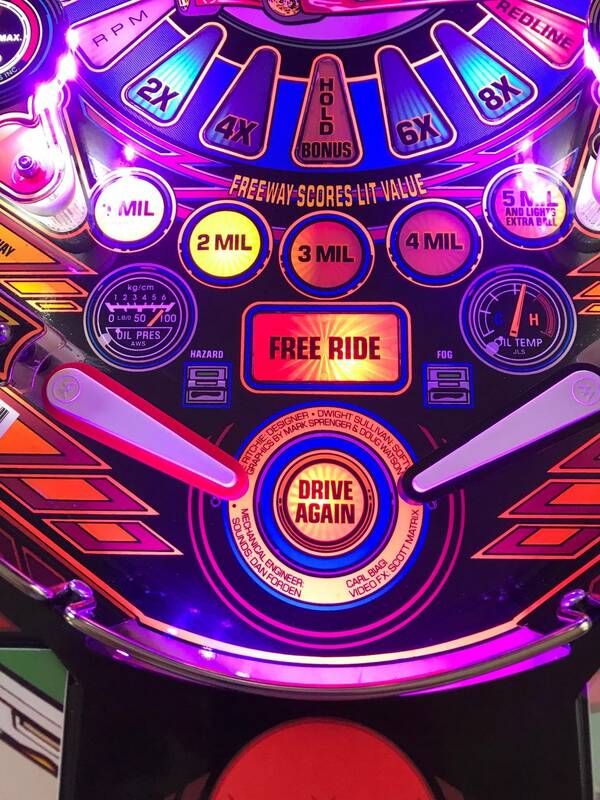 Looks like Free Ride insert has some lifting near the top; I'll have to see what can be done there. 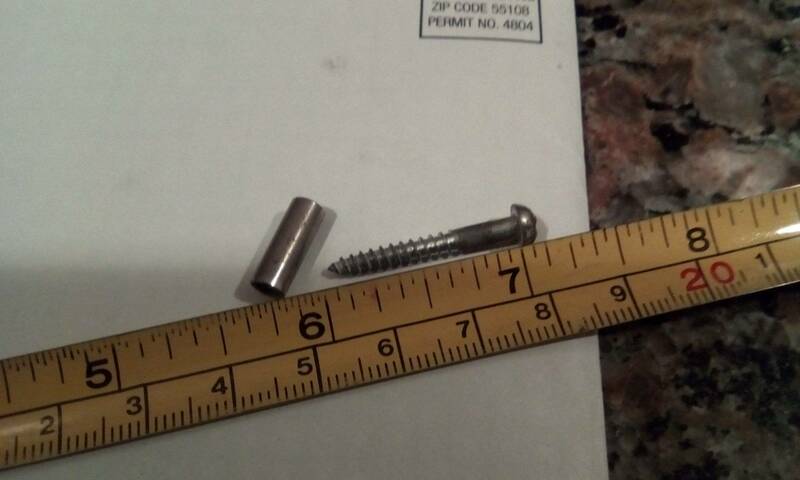 Appears to be missing the hair-pin turn guard, unless it's in the bag of spare parts that came with it. 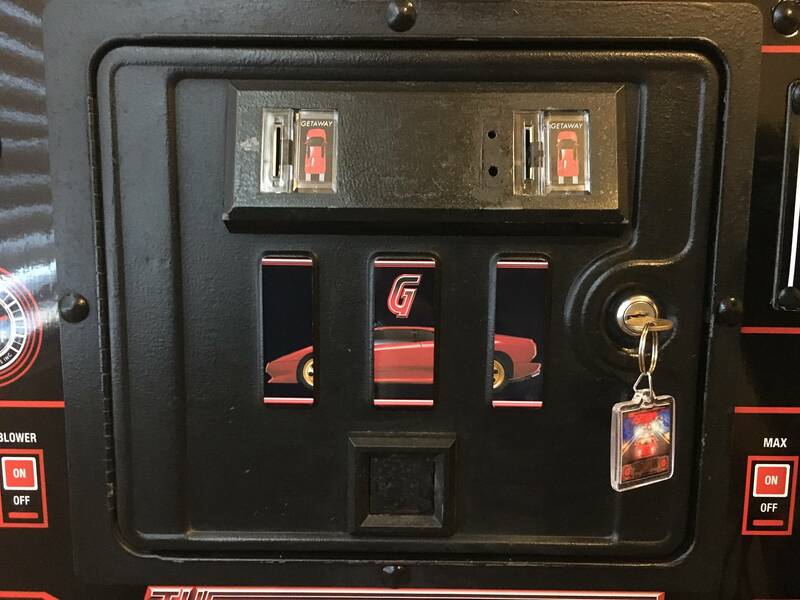 Apparently one of the middle super charger magnets isn't working so I'll have to look into that. 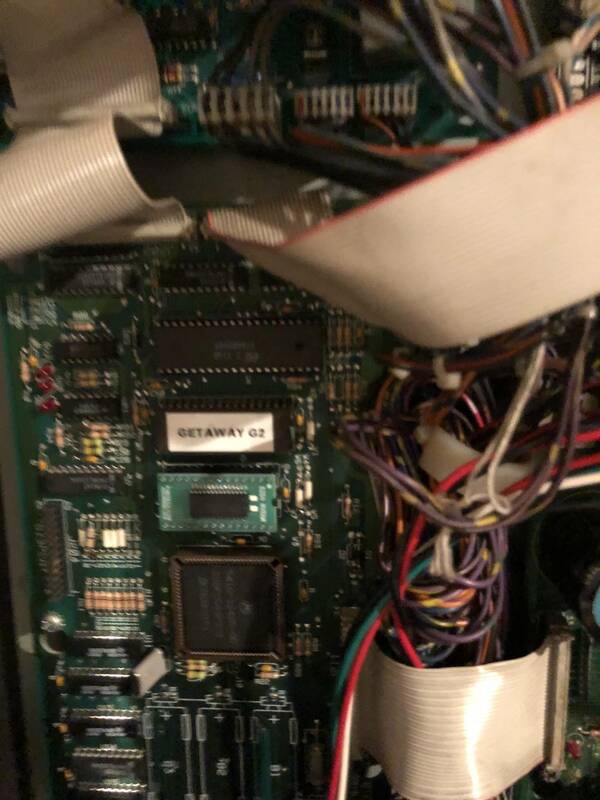 Haven't decided what ROM to install, but I am interested in looking into the bugs once the machine is up and running. I wonder what will happen if he tries to pull the mylar then. The mylar pulled perfect on my BoP but left the glue and where the glue had baked on to the insert plastic (bubbling under the mylar) it was hard as a rock and couldn't get it off the insert. It's always a roll of the dice when it comes to removing mylar. 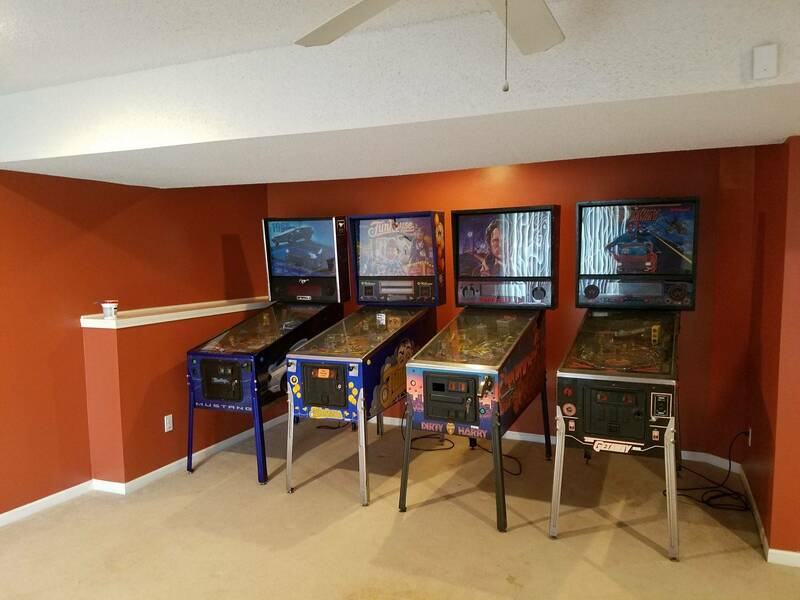 I just put down my deposit on a new playfield. It's going to put my Getaway over the top as its the only thing left not restored. So true... unless they put it on after waxing the PF then you may have a better chance but it's the reason the Mylar is staying on my EATPM, if CPR ever runs the PF then I'll switch out the PF and keep the original as a backup. 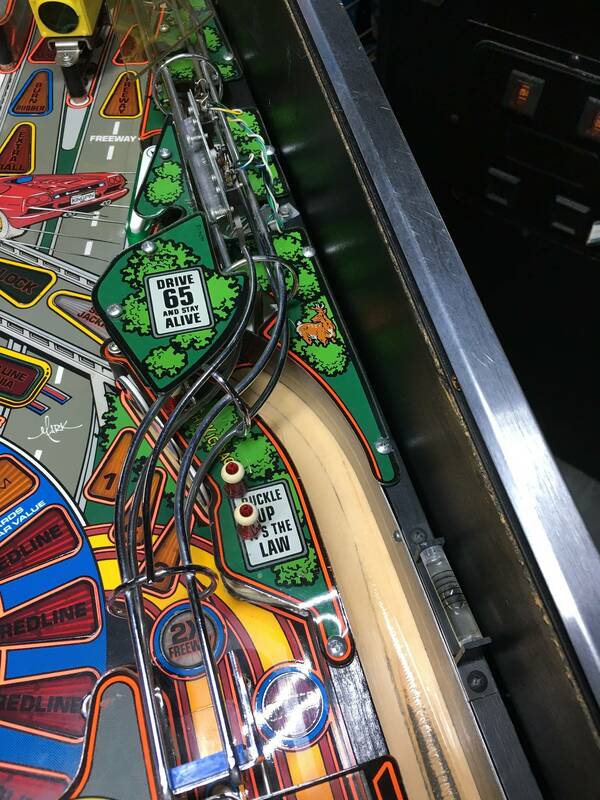 I've had luck pulling full mylar off of Funhouse playfield, but failed miserably with a Roadshow playfield (RIP). Sounds like if things go south that a repo playfield or maybe a person that buys a repo and sells their original playfield are options. I'll try to get some close-ups of the full mylar for speculation purposes. Never removed mylar myself, but I've read here in the forums there is a heat technique and a cold technique. Not sure which is best, but there are threads on the topic if you have never done it before. I already decided to swap to Black. Just thought I'd show the difference. Like the contrast better. 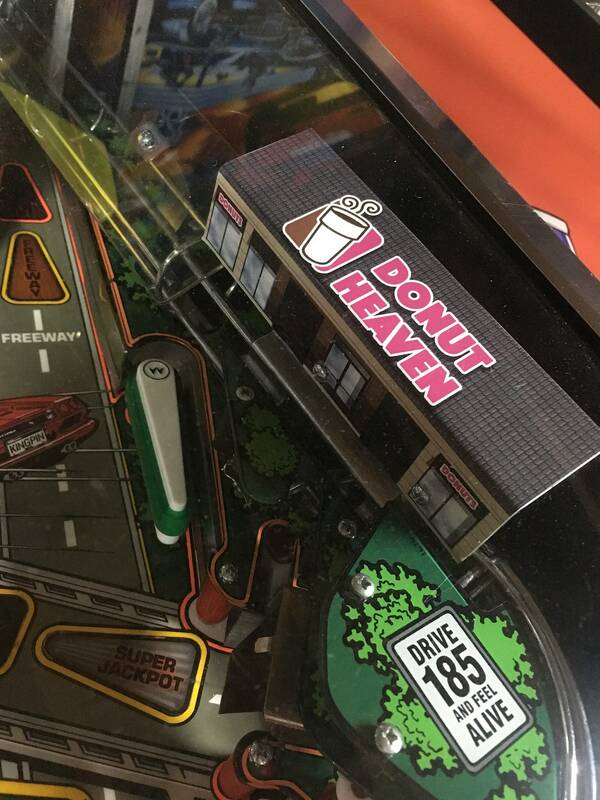 Got my magnet apron and donut heaven decal. And since we are talking about flipper rubber color, I went with translucent orange. 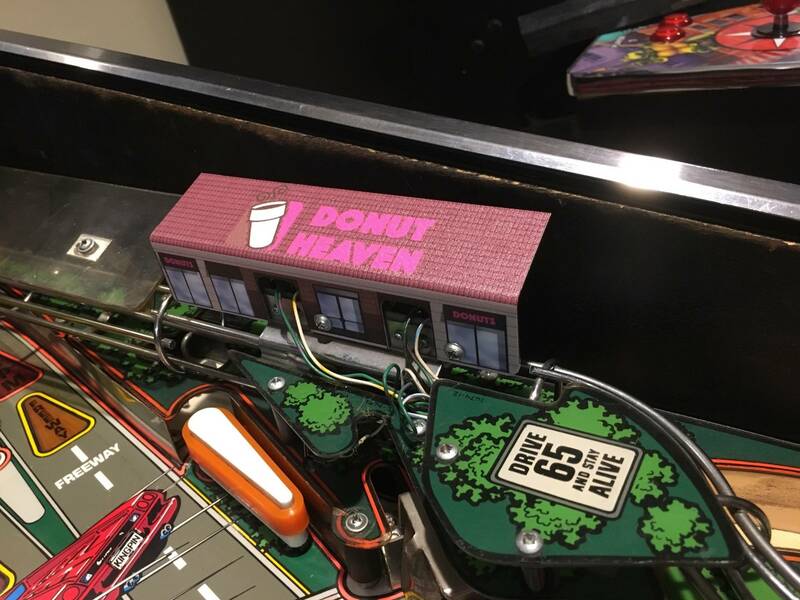 Hide those wires from the Donut Shop, they go behind. Well, black resembles tires, so that is good. 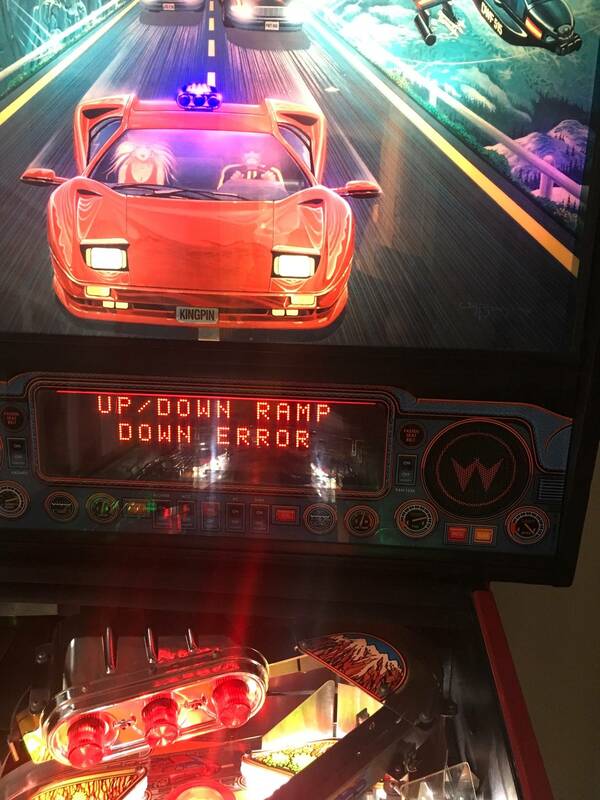 Red matches the playfield well. Yellow goes with some of the striping, but gets dirty easily. 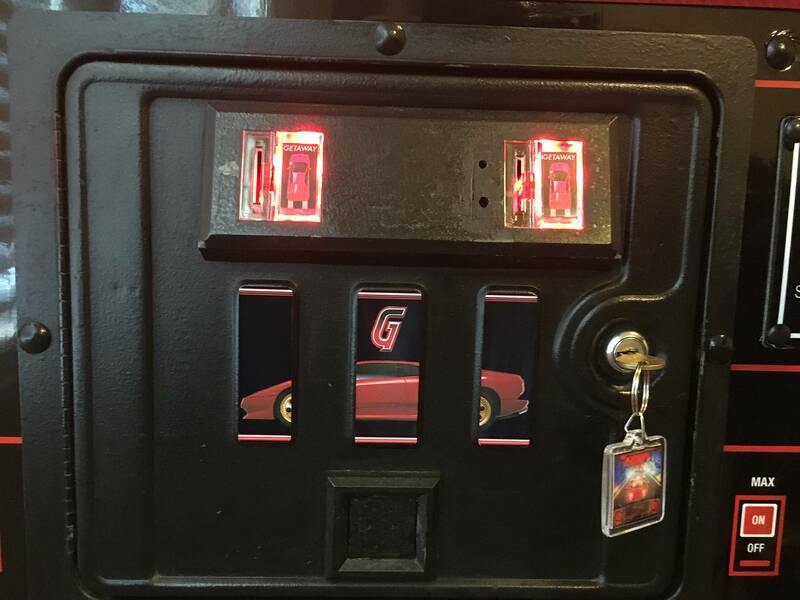 I've done all of these, but now I am actually using blues on the bottom flippers which works well with some blue I've added with lighting & pops as well as the blue tachometer and rings on the lower playfield. In other words, go with what you like and I can guarantee it won't be the last color flipper rubbers you put on your Getaway. I do like the uniqueness of the translucent orange (have not seen that before on this pin). They have been like that since I rescued the game. Can you shoot me a photo of how the wires should be routed? I like the red better. Who's gonna be the first to put lit bats on the game? I've been thinking about it, but the price. Finally got around to rebuilding the pops. 2 down, 1 to go. 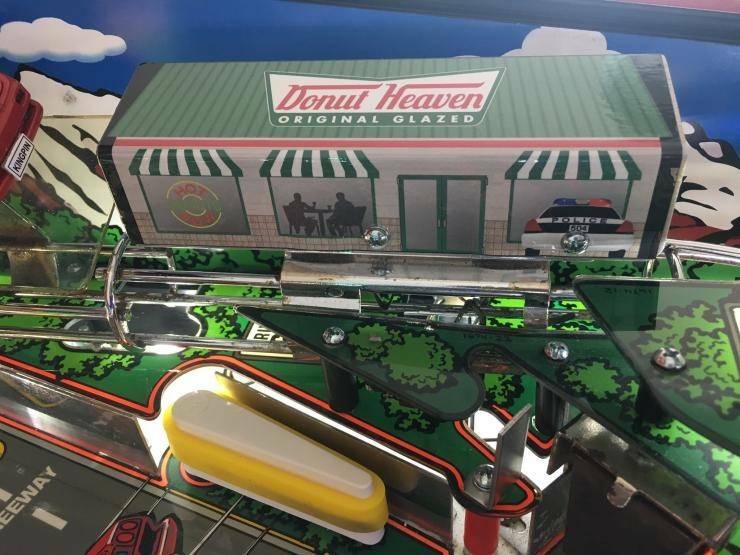 While I have it opened I will relocate those donut heaven wires if someone can shoot me a photo of how they should be routed. 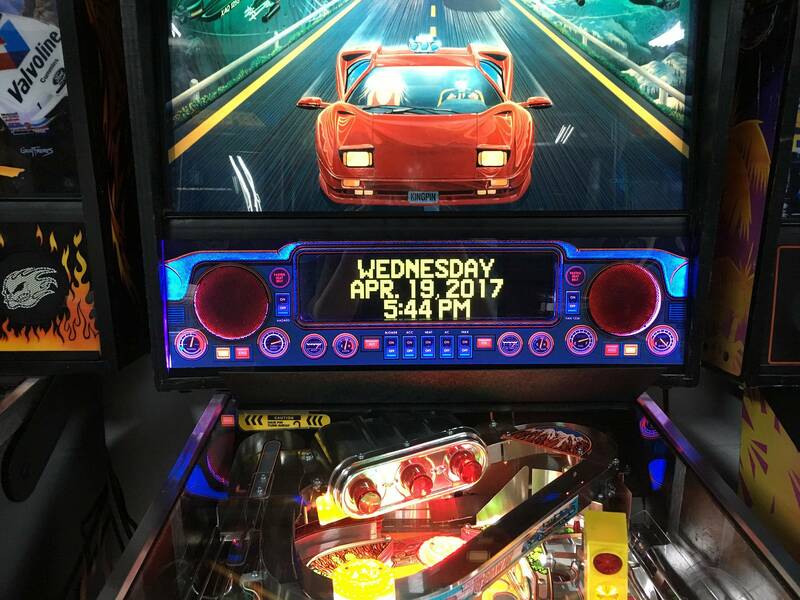 The decal should have covered the holes. That's a good idea, maybe some frosted plastic covering the holes which will also let the light out. Ahhh nothing better than freshly rebuilt pop bumpers. All 3 of my wafers were cracked and the ball couldn't trigger them any more. same here. 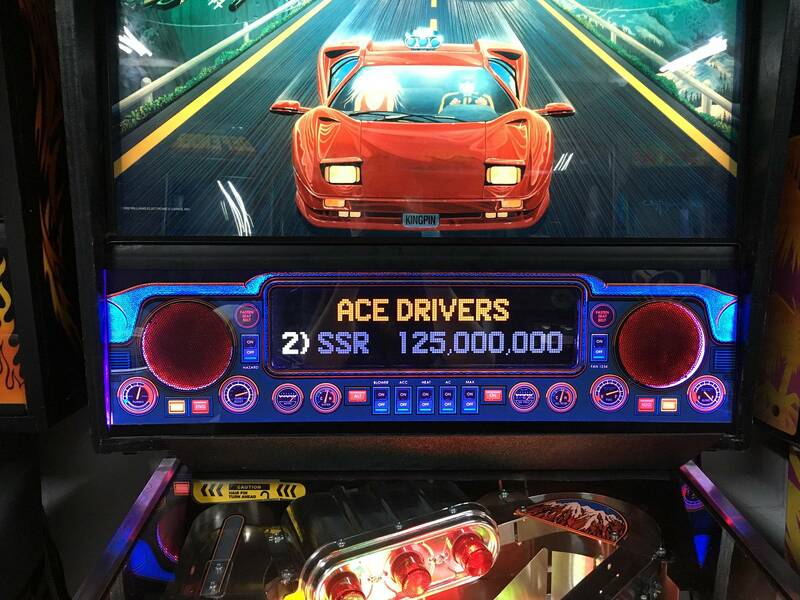 actually, HS2 was the only game i've had that needed new skirts. kinda weird. Why is your DH logo missing the white striking (kind of all blends into the roof)? Would't you prefer a Mr_Tantrum original? 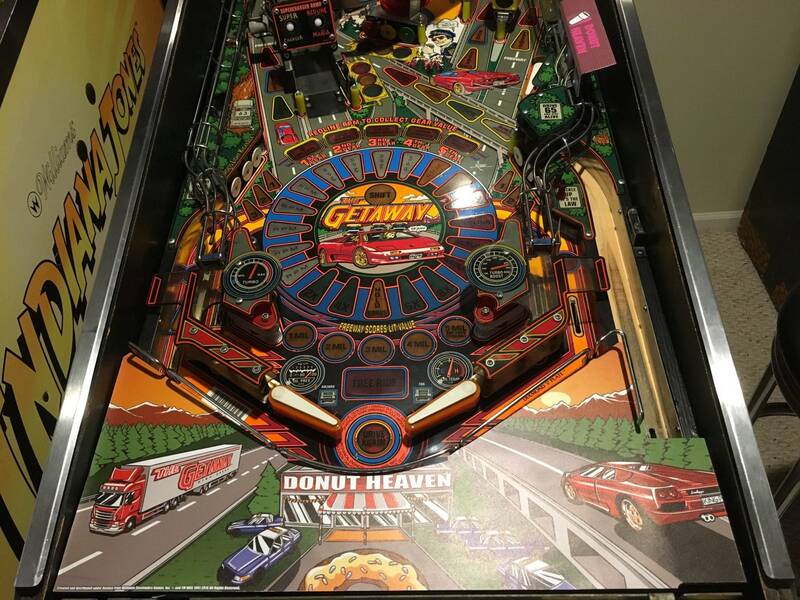 Can make your own (http://www.thezumwaltfamily.com/getawaypinball) or pay me the big bucks to make one for you. No clue. It is the latest run from Lermods. I would complain and make them send you a correct one. Plenty of evidence of what it should look like verses what you received. 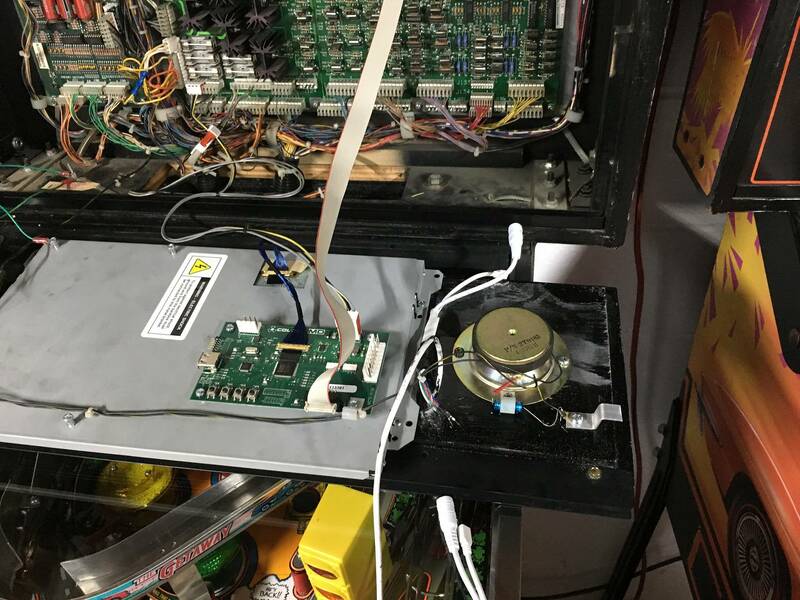 So, I just rebuilt the auto fire assembly and the ball still has trouble making the loop to the upper flipper. Has anyone else experienced/fixed this issue? Did you replace the actual plunger that fires through the coil? Mine was so worn down that even after replacing the coil and sleeve it still wouldn't make it all the way around. I had to replace the plunger and then it was was perfect. Replace plunger, and also search this thread as this has been covered a few times. Many posts and pics of what alignment should look like. I've been putting this off since it looks like a fairly detailed process (cutting cables, etc.) I've read everything in Vid's guide to pops, and just need to take the plunge. Mine work, but one of the few things I've not restored. 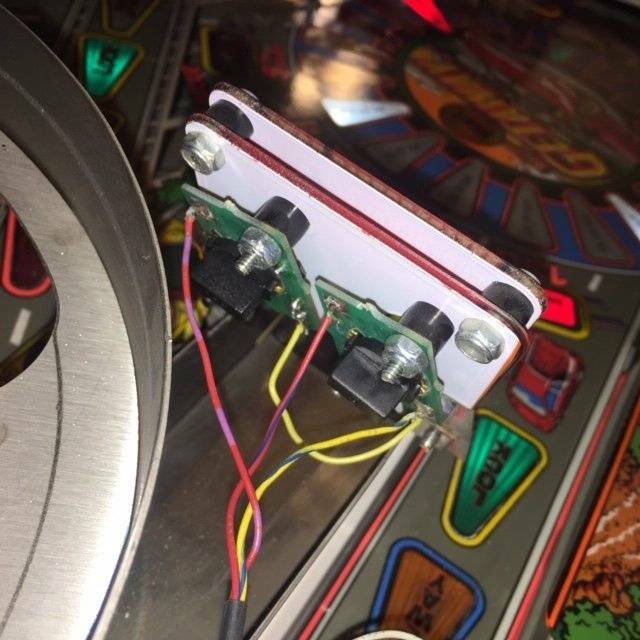 While they seem to be pretty lively after I did some tweaking, the original parts above the playfield are dirty, screw holes stripped, and all of the metal is tarnished badly to the point that it is starting to bug me visually when I play. 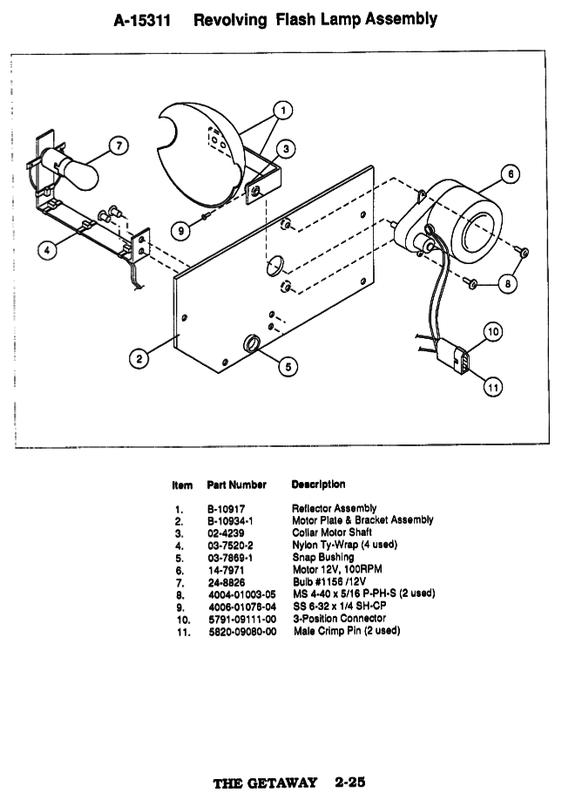 So, with all that said, what kind of time am I looking at to rebuild the 3, do you have a handy list of parts needed (I know I can figure it out on my own if needed), and is there anything specifically I need to look out for given that I've never done it before. 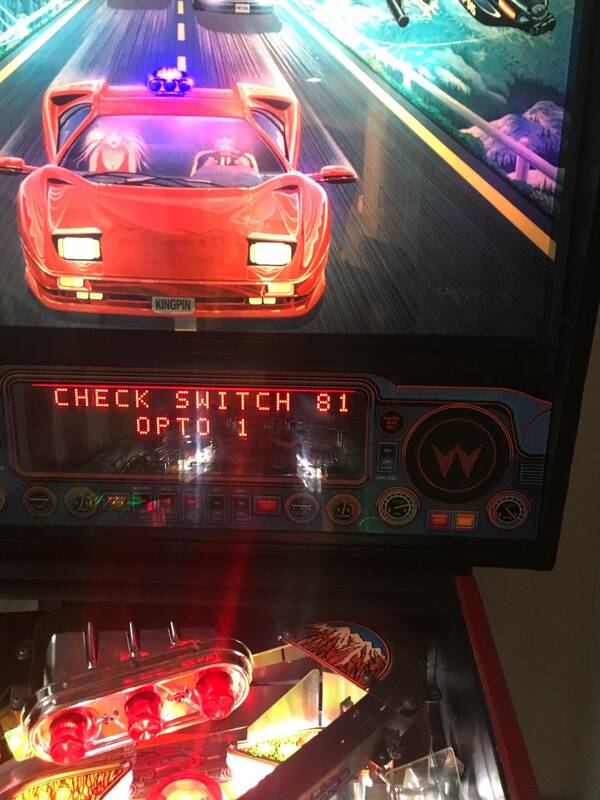 Got my light up panel finally buttoned up. Love the choices in color, went with a pinkish background as it really made the reds pop. And I know I need to fix the date. Got my light up panel finally buttoned up. 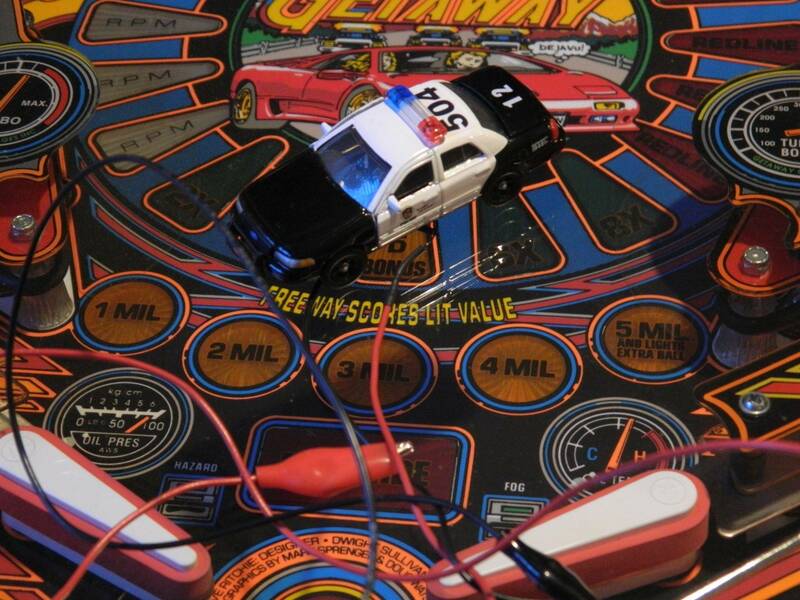 Decided to take the small lighted police car off and I'm offering it up for sale. Mezel Mods sells these for $50 so I'm asking $38 including free shipping to the lower 48. 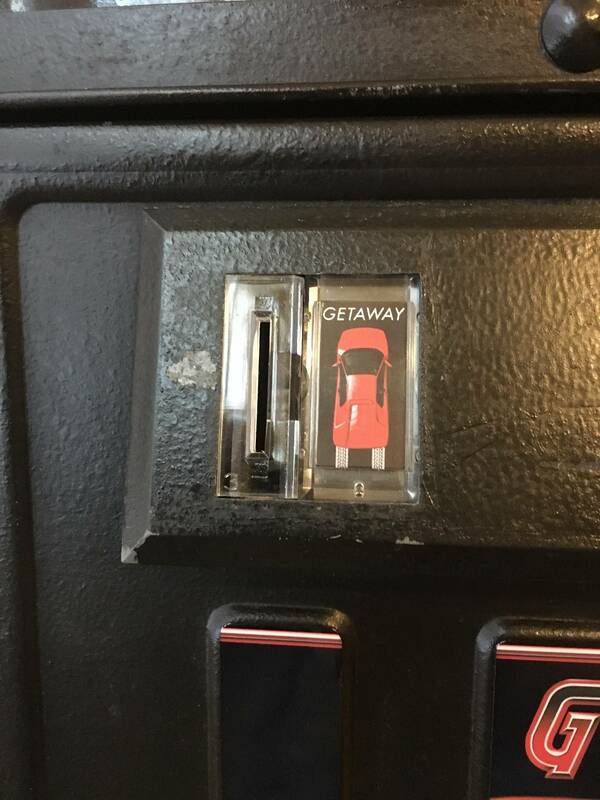 Hey guys...I've had my Getaway now for over a year. I know this topic has come a lot (apologize in advance), but didn't want to dig the thread....my Getaway didn't come with a beacon. 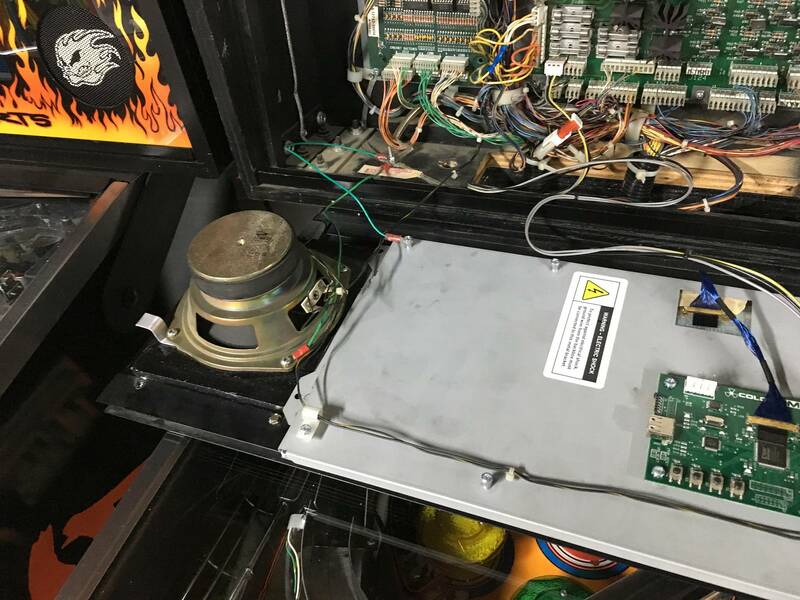 I see Marco has a bracket for the beacon....but that's it......how much of a pain in the a$$ to get a replacement beacon going? 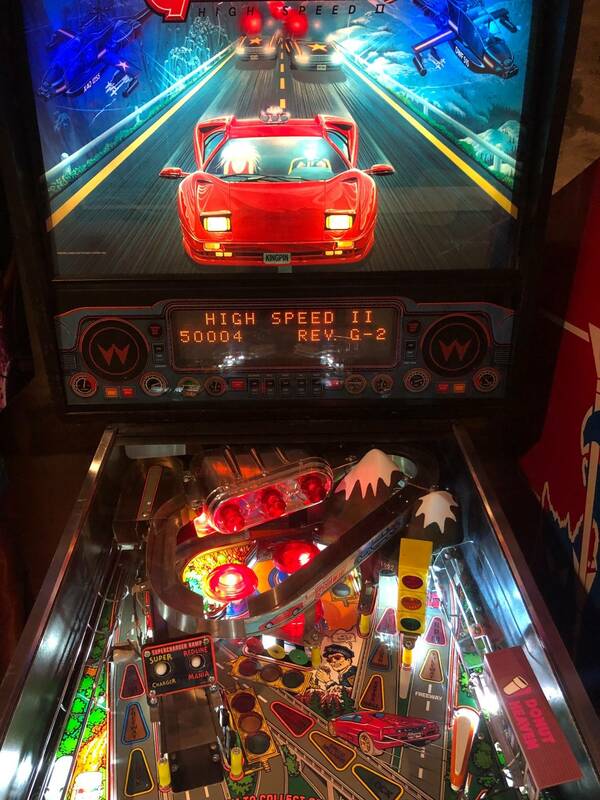 Check the for sale ads on the F-14 post, Tilted pinball is making the reflectors and you can buy a motor and lens from Marcos. you haven't played HS2 yet, is what you're saying. No motor. Looks like someone took the whole thing. I have the boards on the inside to operate it. 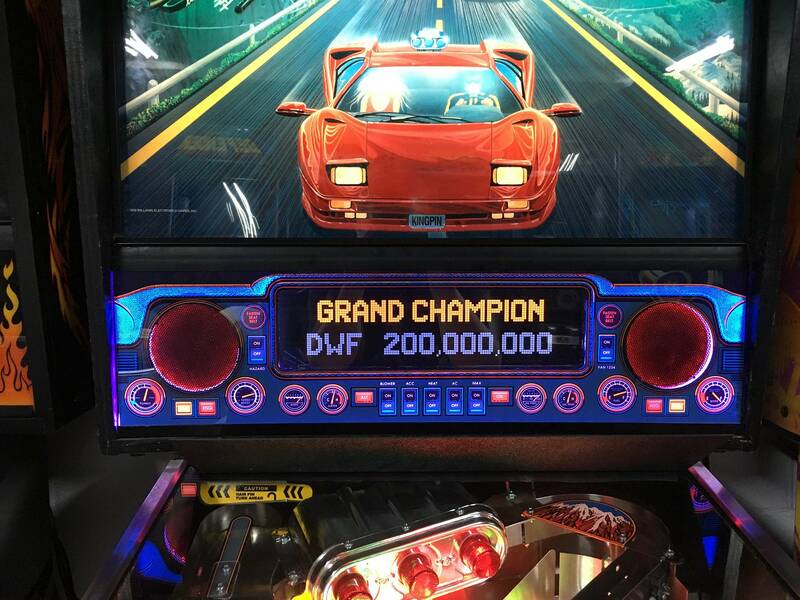 I have an email to Kyle @ tiltedpinball to give me a quote on the beacon and motor. Played it a lot....just driving me crazy...having no beacon! Yeah, I agree, that beacon add a lot to the game. Good luck! 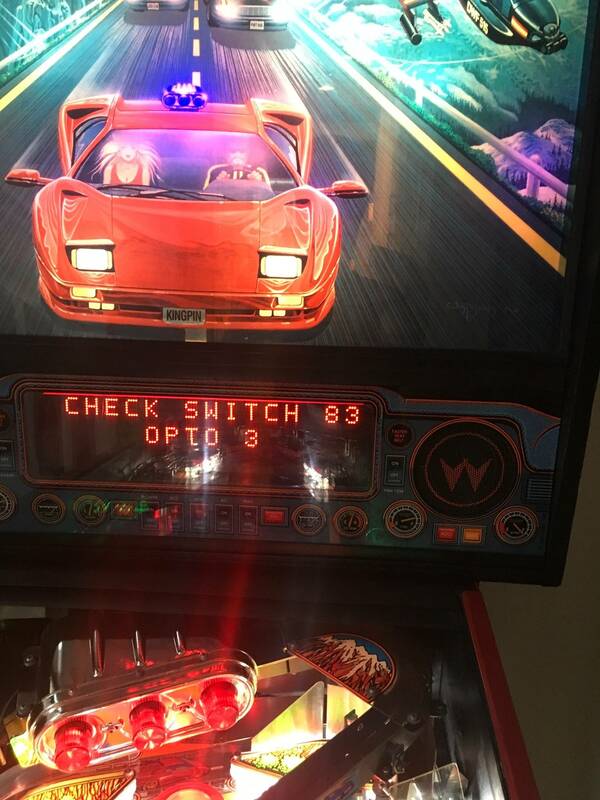 I have no lights on on the left 2 bumpers i change the bulbs only the bottom bumper light is working any ides whats the problem? If they worked at one time and now they don't I'd say you have a loose connection. Work back from build, tracing the wires and reseat the connections. 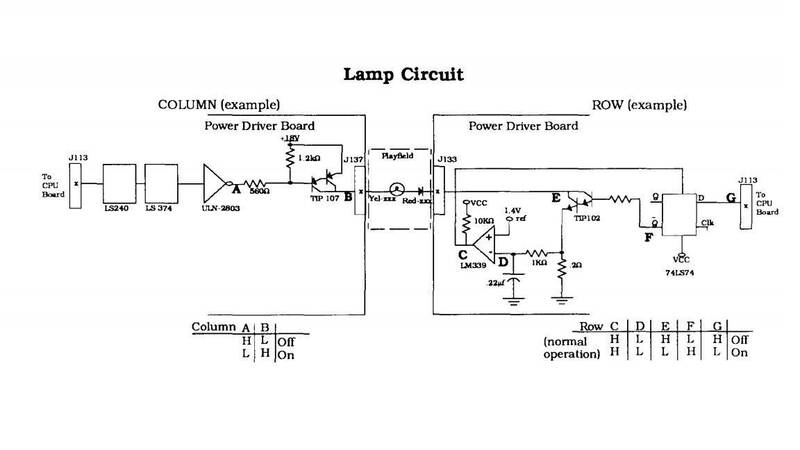 If that still doesn't work, look at the bulb circuit board. 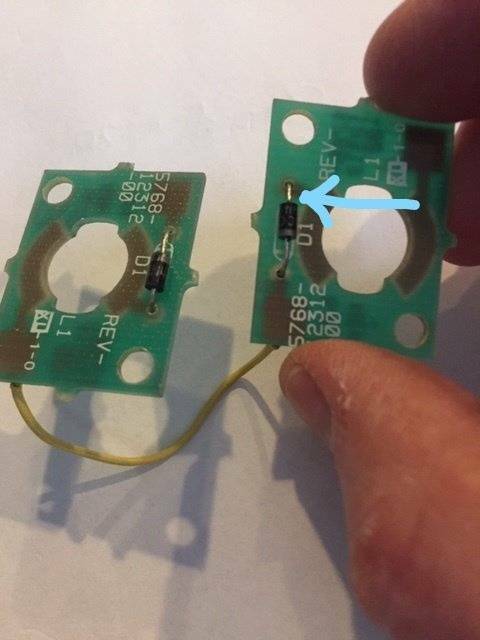 You may have cold solder joints on those old build boards. Reflow the solder on those connections. I had an intermittent bulb come on and off. 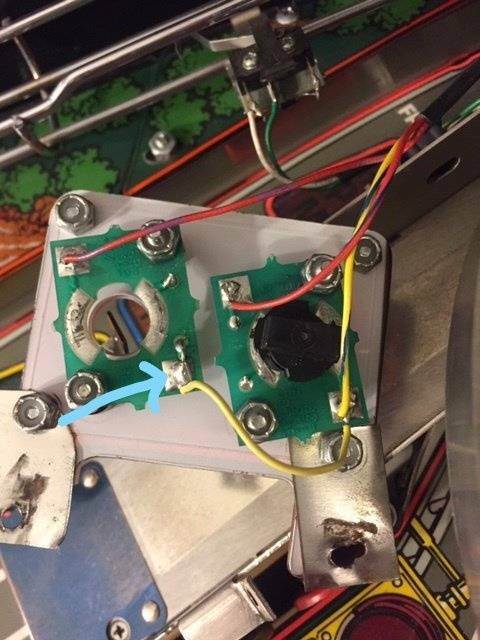 Heated up my soldering iron and touched it at the pin connection and it worked and has continued to work after that. YMMV.